My name is Scott, and I’m a car guy. Always have been, and probably always will be. 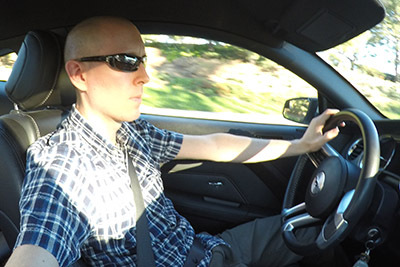 DriveAndReview.com was born in 2011 out of pure boredom mostly (it was just another of a long list of my personal side projects), and right from the beginning it was focused squarely on automotive reviews and my often skewed opinions about all things pertaining to the car industry. As a car guy who is interested in all things automotive, I’m lucky to be able to drive a wide variety of cars on a regular basis. I travel often – sometimes for work, other times for pleasure. One of the things I enjoy about these trips is the rental car experience, which allows me to drive (and review) all kinds of the latest cars. Admitting to like rental cars is sick, I know, but hey – I like to drive. This site is growing fast, and updates are posted often. So grab a cup of coffee, sit down, and buckle up for a plethora of honest, straight to the point automotive stories and opinions from a guy who really likes talking about (and occasionally ripping on) cars.